The 2016 American elections intensified popular as well as scholarly interest in the relationship between media and democracy on topics like fake news, information bubbles, and algorithmic propaganda. 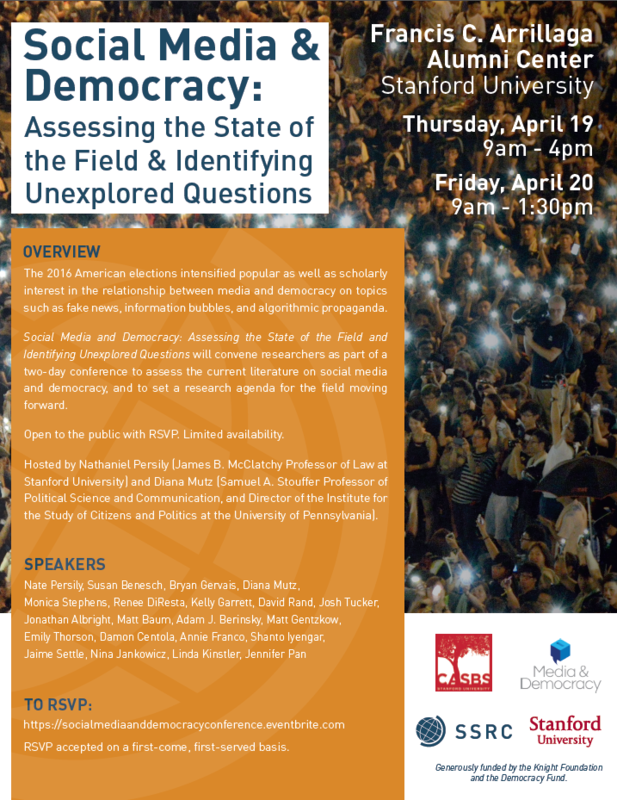 "Social Media and Democracy: Assessing the State of the Field and Identifying Unexplored Questions" was the Media & Democracy program's inaugural event. It convened researchers as part of a two-day conference to assess the current literature on social media and democracy, and set a research agenda for the field moving forward.